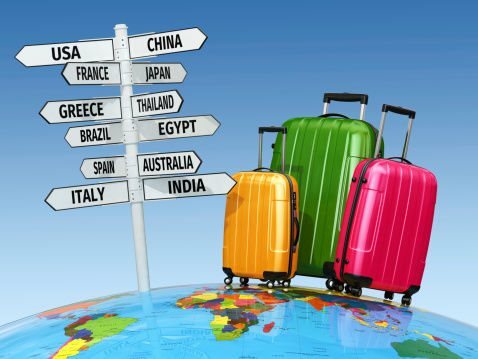 LIFESTYLE NEWS - Travelling overseas during the festive season can be stressful because it tends to be one of the busiest periods of the year when tourists travel to and from destinations all over the world. Anthony Grant, CEO of FNB Foreign Exchange, says: “Travelling during year-end peak time can be quite expensive but if you plan ahead you can save on costs. "Money is an important factor to take into consideration before you travel, it’s important to have a clear idea of how much the entire trip with will cost. Whether you are travelling as family or a group of friends, consider the possibility of travel packages that are inclusive of the flights, accommodation and car rental. The benefit of this option is that you pay a single price, which is often cheaper than paying for each item individually. Whether you are travelling to the airport or have activities planned, allocate an extra hour to your schedule to accommodate for delays. Airports and holiday destinations are typically crowded during peak season and to avoid spending time queuing, rather leave early. If for example, you plan to attend a music concert consider the option of buying tickets online instead of over the counter. Always inform your bank about your travelling plans, this is to ensure that, where required, you obtain the necessary authorisation to transact overseas with your bank cards. The risk of travelling without travel insurance is that should anything happen, you would need to cover the cost of the emergency from your own pocket in foreign currency. “Travelling during peak season can be easy, you just need to know how to get around planning your trip to ensure you don’t spend more than you budgeted for. Happy and safe travels” adds Grant.